A shadow puppet show for winter nights; designed to be performed in living rooms and other small venues. The world is descending into chaos. The gods and the warriors of Valhalla go to fight the final battle. 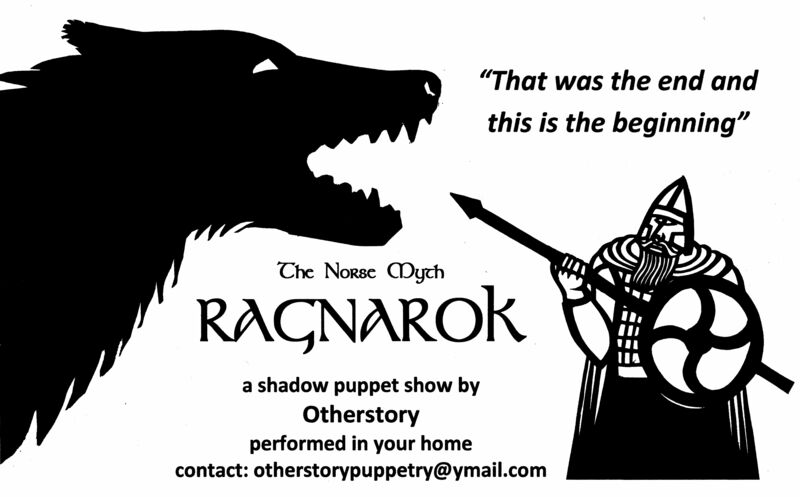 Odin faces the wolf Fenrir while Thor fights the serpent Jormungand; but is this the end or is it the beginning?